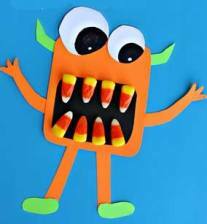 My Monster Mama Loves Me So -- ADORABLE book for kids! 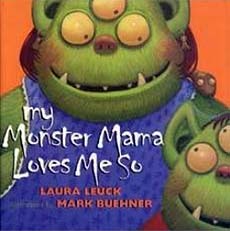 In cute and clever rhyming verse, this title describes all the many ways that monster mamas love their little ones! School Library Journal ended their positive review of this book by saying "Leuck delivers a reassuring message in a funny, mildly scary story. Perfect for storytimes." Below are sample pages from inside this cute book. The text in the first spread reads "My Monster mama loves me so! Let me tell you how I know." And the second spread reads "When I wake up, she tweaks my nose, tickles all my pointy toes, combs the cobwebs from my bangs, and makes sure that I brush my fangs." Click to see more books from our best Halloween kids books list?